To celebrate the start of 2019, members of the MENA Alumni Chapter gathered for an evening of conversation and camaraderie. 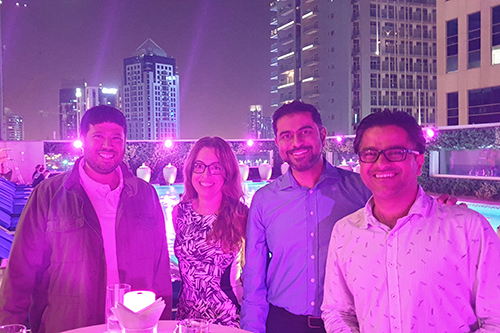 The gathering, which usually takes place on the first Monday of each month, was held at the DoubleTree by Hilton Dubai hotel. The alumni networking events are an excellent opportunity for members of City’s vibrant graduate community to reconnect and hear about City’s latest developments and achievements. For details on how you can be part of these gatherings, click here.